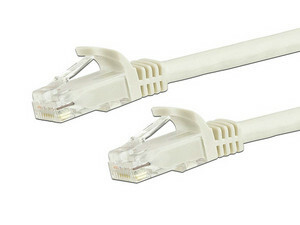 Cable de red StarTech, Cat6, UTP, RJ-45 (M-M), 3m, Blanco. Cable de red Nexxt AB361NXT13, Cat6, RJ-45 (M-M) de 2.1m. Color Azul. Cable de red Nexxt Solution, Cat6 UTP de 90cm. Color Gris. Cable de Red Ghia Cat5e UTP, 1m. Color Gris. Cable de Red Ghia Cat5e UTP, 2 m. Color Gris.